First up, thank you to everyone who has taken time testing and reporting issues with the 2.3.10 beta. It is very much appreciated for your assistance. We’ll be releasing 2.3.10 at 10AM UK, 5AM East US this morning. Please note that the 2.3.10 update will bring with it an extended server downtime. As with previous updates, this downtime could last for seven to eight+ hours at the start of 10AM UK. We apologise for any inconvenience caused and thank you for your patience! Audio: Fixed an issue with the discovery scanner audio – Honks are back! Greetings Commanders, today we’ve released the 2.3 update! Below is a short snippet of the very large list of changes. We’ve been receiving transmissions from Commanders all over the galaxy seeking more information on our next update. I’m pleased to be able to confirm that the beta of Elite Dangerous: The Commanders (2.3) will be landing the week ending February 26! This will be available to everyone with Horizons beta access. With the content now reaching a stage where it begins to fit together, we’ll soon be able to start sharing more news and updates on exactly how the features will look and work. We’ll be sharing more granular detail about how the core features will function in our upcoming dev spotlight as well as showcasing all of the content in our pre-beta stream! Elite Dangerous: The Commanders (2.3) will come with features such as Multicrew and Commander Creator, as well as a number of other improvements and changes. Bring your friends or invite new crew mates to pack that extra punch you might need in key situations, and add more personality to your Commander with an all-new visual upgrade. So ready your engines and tell your friends, the Elite Dangerous: The Commanders beta is just around the corner. I’m just posting up to confirm that we have an update making its way to you this morning. The servers will be going down at 10:45 AM GMT and will be down for approximately 2 – 4 hours. We’ll let you know if there are any unexpected delays on this thread. I’d like to take a moment to thank all of the people who took part in the beta. The support is invaluable, thank you so much. The update is going live to Xbox One and PC. Here’s the juicy change log…. – Don’t clear legal state after a cargo scan! This will make the cockpit “Wanted” warning vanish! – When scaling Weapon Range up in a blueprint, we now display that the projectile speed has increased. Powerplay and its associated AI along with mechanical changes of how Powerplay functions. Engineers update: Extensive balancing tweaks and changes to promote a larger variety of recipes to use. Many additional changes are designed to smooth out the combat related blueprints. General Combat Balancing: We hear you. We’ve begun the process of changing existing weapon meta to enable a far greater choice in how you, the commander, can outfit your ships for combat. While not an exhaustive list above, we’ve included a full list of changes below. Below are the starting changes for the 2.2.03 beta; they are not final changes. We’ll post further updates to patch notes in the 2.2.03 beta feedback forum due to the focused nature of this update series. Additionally, if you are using the standalone version of the Elite Dangerous Launcher, you can find the latest version of it here: http://hosting.zaonce.net/elite/Client-Installer.exe If you’re not using Steam to launch Elite Dangerous, you’ll need to be using the latest and greatest of our game patcher client! Don’t clear legal state after a cargo scan! This will make the cockpit “Wanted” warning vanish! This thread will remain locked. Please make a thread specific to your questions/feedback from above. Otherwise, use the threads that are stickied to discuss the changes. Thanks. They’ll be down from 9:45 GMT and will be expected to be down for up to an hour. Greetings commanders, we’ve pushed an update out this morning, here’s the changes. – Slightly reduced Anarchy interdictions, whilst keeping them more dangerous than lawful systems. update 2.1.03 will be released this morning for all platforms. Servers will be turned off at 10 am BST, and should be live again within 2 hours. The update contains the following changes listed below. For Xbox One players the download size is 1.2 GB. The Engineers (2.1) is the second major release in the Elite Dangerous: Horizons season of expansions that started with Planetary Landings. The Engineers adds Loot and Crafting and the eponymous Engineers themselves as the headliner features, but also delivers a massive number of new gameplay elements. Through the engineers, you will be able to improve and upgrade the stats on every module of your ship, and add rare, experimental effects to your weapons for some special outcomes. We’ll be showing more of these weapons in the coming newsletters, but here’s one example of the abilities that you can implement. Our second big announcement today is that Elite Dangerous 1.6, available to all players of Elite Dangerous, not just those with Horizons, delivers significant changes to the core gameplay experience for all players, headlined by a completely re-vamped mission system and having its own vast number of additions and changes, and it will go into closed Beta and be released at the same time as The Engineers. In the next three week’s Newsletters (starting this Friday) we’ll be going into both 1.6 and The Engineers, with articles written by Executive Producer Michael Brookes about all of the new features coming to the game, artwork, in-game images and much more. We’ll be following up these weekly newsletters with ‘Countdown to Beta’ livestreams on the following Thursday, where we discuss the information in the newsletter with the developers, show you on-screen examples and answer any questions you have about that week’s content. We thank you for sharing the Elite Dangerous journey so far. We have taken our time with The Engineers and 1.6, and we think you will like the results. The future of Elite Dangerous is incredibly exciting – and it starts in three weeks! Elite Dangerous: Horizons is the second season of content for Elite Dangerous, the definitive massively multiplayer space epic. It starts with Planetary Landings, an unprecedented, vast new experience that lets you journey seamlessly from space to any point on the surfaces of accurately simulated planets and moons throughout Elite Dangerous’ multi-player, cut-throat, full scale re-creation of the 34th century Milky Way galaxy. Coast over mountaintops, dive into canyons and drive the new Scarab SRV wheeled vehicle. Each 1:1 scale world offers incredible vistas and plentiful gameplay opportunities; Discover valuable resources, experience deadly combat encounters, raid bases, scout crash sites and co-operate with other players, both on the planet surface and flying high above. Multi-crew, allowing teams of players to assume roles aboard the same ship. Elite Dangerous: Horizons is fully back & forward compatible with Elite Dangerous (season one) – everyone plays together in the same galaxy. It gives new players access to Elite Dangerous and all the expansions in Elite Dangerous: Horizons for one price. A discount for existing Elite Dangerous players is automatically applied. Starting with only a small starship and a few credits, do whatever it takes to earn the skill, knowledge, wealth and power to survive in an incredible, cut-throat galaxy in an age of galactic superpowers and interstellar war, and rise to the ranks of the iconic Elite. Every player’s actions influence the unique connected gaming experience and evolving interactive narrative as governments fall, battles are lost and won, and humanity’s frontier is reshaped. Decide the next moves of powerful story characters. Take part in intense Close Quarter Championship PVP arena battles. Play with large community groups, in 4-person Wings, or alone. Elite Dangerous and Elite Dangerous: Horizons are AAA VR experiences, and include support for HTC Vive and Steam VR. Unfortunately, these notes are so large (8000 character limit), I can’t post them in one go here on the patch notes section! The list is continued at https://forums.frontier.co.uk/showthread.php?t=188174 – thanks! Surprise! People own the galaxy now. With today’s release of the Powerplay update for Elite: Dangerous, galactic powers have descended to divide up the universe. You can join up with one of those powers to complete special objectives to help your benefactor spread their influence through space. Finally, the game’s playerbase can shift the power-balance of the Milky Way. 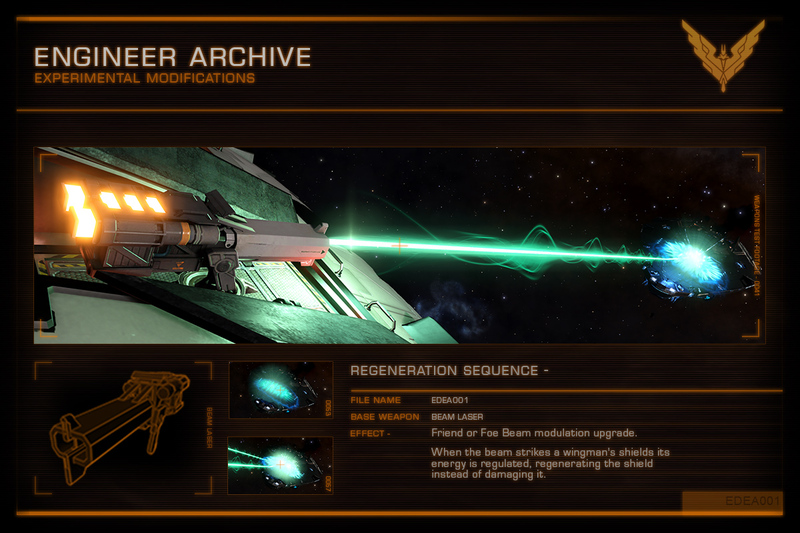 Powerplay is the third major update for Elite: Dangerous, and quite possibly the biggest yet. You can see it explained further in Frontier’s latest trailer. There’s more, too. In addition to the Powerplay system, the new update also brings a better mission system, three new ships, and a bunch of other improvements. You’ll find the patch’s feature list below. An enhanced mission system with new objectives and new ways to play. Three new ships: the Lakon Diamondback Scout, Lakon Diamondback Explorer and the Imperial Courier. Drones for cargo collection, fuel trading and prospecting. A new illustrated GalNet newsfeed, accessible directly in players’ ship UI. High and low intensity mining sites, adding risk to mining and increasing potential rewards. Upgraded UI and animated emblems for ranking up. Numerous other improvements to gameplay and performance. Powerplay is out now in Elite: Dangerous.